This book introduces the reader to all major aspects of contemporary international law. It applies a policy-oriented perspective, a highly acclaimed approach developed by a group known as the New Haven School that views international law not as a fixed set of rules but as an ongoing process of decision making through which the members of the world community identify, clarify, and secure their common interests. Unlike conventional works in international law, this book is organized and structured in terms of the process of decision in the international arena and illustrated with numerous historical examples and events. 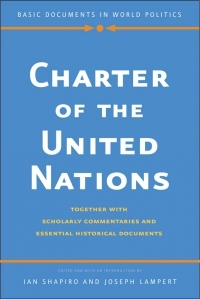 In this new edition, Lung-chu Chen updates his text and bibliography with respect to topics involving the end of the Cold War, increased trade, economic sanctions, new powers of the Security Council, use of force, international criminal law and institutions, and human rights. Lung-chu Chen is professor of law at New York Law School.